RSS stands for Really Simple Syndication or Rich Site Summary. An RSS feed is a way for you to receive updates to different websites without having to visit them. You can also use RSS feeds to publicise information about your own work. How do they help me, as a reader? Clicking on one of those orange symbols will give you the URL (web address) for the RSS feed. To receive a single feed by e-mail: look out for a “subscribe by e-mail” link on the website you want to watch. To watch a handful of feeds you could create a start using an aggregator such as Google Reader, NewsGator’s suite of readers (including one for smart phones),Feedreader and FeedPixel.com. How do I find RSS feeds that I want to look at? Check if websites/online journals you use a lot have RSS feeds (look out for the orange logos). 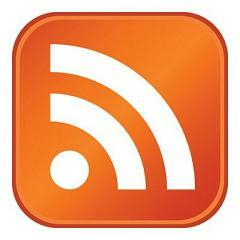 Collect RSS feeds as you find them. Search an RSS directory. You may find that your feed reader has its own directory, or you can do an Internet search for “RSS feed directory”. When you run a search online, such as on Google or in a library-provided database of scholarly content, look out for the option to create an RSS feed for that search so that you will be alerted when new items matching your search criteria are found. You may have to explore advanced options or settings to set such a feed up. If there is no RSS feed for a page that you think would be really useful, programs like Feedity can be used to create an RSS feed for that page. I have an aggregator. What now? Click on the RSS or XML logo button on the web page you find interesting. Copy and paste the URL (i.e. the Web address) from the rss feed page into your aggregator. Some browsers/browser extensions will recognise that there is an RSS feed on a page and offer you an RSS button in the toolbar, which will link to your RSS feed reader for you and add that feed to your collection. When feeds start to appear in your aggregator, clicking on the headline will take you to a page with more information. What is Google Reader and what are RSS feeds? Use Google Reader to keep up with websites that have frequent updates, e.g. blogs. Google Reader uses stuff called RSS feeds – found on loads of websites. This video explains Google Reader in Plain English.